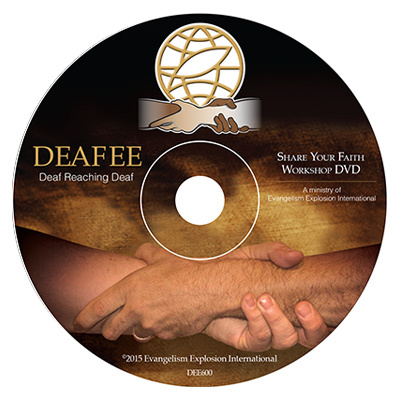 Share Your Faith Workshop presented in American Sign Language with subtitles and voice over in English. This six hour workshop follows the same format as the original Share Your Faith workshop. A Study Guide for Deaf EE is available for use with the regular Student Workbook.